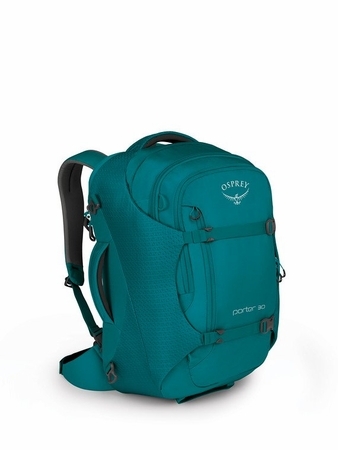 "With padded sidewalls, convenient organization and a substantial suspension for backpack-style carry that disappears when checking bags, the Porter Series has set the standard for deluxe duffels. This season brings a relocated and dedicated zippered laptop and tablet pocket and functional storage options for items both big and small with multiple access points. When a duffel isn't enough and backpacking bags are too much, the Porter is the answer. StraightJacket compression straps with padded sidewalls to help protect your bag's contents and allow you to fit more gear or compress the bag to a smaller size when it isn't fully stuffed. Storable belt with foam padding and 38mm webbing"